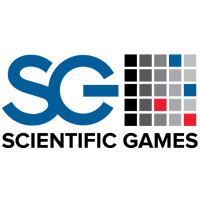 50 years of quality business between Scientific Games(SG) and Barcrest! Join us in congratulating SG and Barcrest for their 50 years of success in business together. Indeed, Barcrest sure came a long way since they first opened. As you probably know, Barcrest saw the day in 1968 on the outskirt of Manchester. And incredibly the company founded by two brothers still operates in the same area today. All and all, Barcrest success is primarily due to the first game release in pubs and arcades which is Invader. After that, their machines became a household name across England. And because of their success, SG was quick to buy the company out. And now, Barcrest operates under the world renown brand SG, just like Bally and WMS. Which means that you’ll find their games all over land-based casinos in town and online casinos NJ too! In a recent press release SG’s CEO Phil Horne praise Barcrest success. So, what makes Barcrest such a champion? There’s no doubt its modest beginnings and ability to adapt in a dynamic industry help the company. Indeed, it seems that Barcrest is always looking for “the next big thing” and they frequently get it right! But also, Barcrest is now a landmark brand because of the quality, design innovation, and passion they add in their games, as Horne said in the same press release. Well-done Barcrest and congrats on your anniversary.